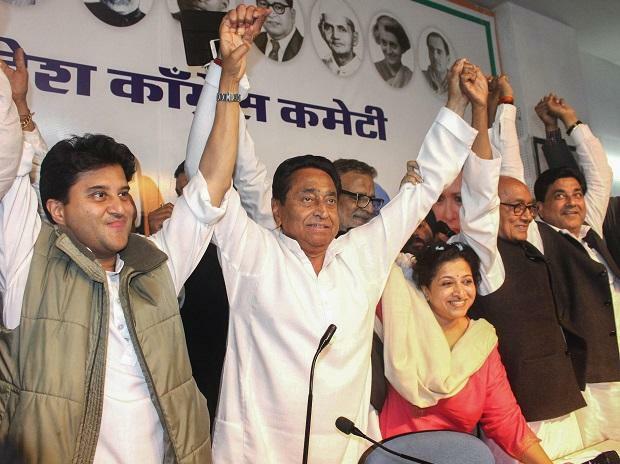 Congress picks Kamal Nath as MP chief minister, Scindia loses out Sources told Business Standard the state party chief Kamal Nath--who has earlier served as a Union minister--would be the next chief minister of the state. Click here to read. SP to support Congress in Madhya Pradesh: Akhilesh Yadav "We welcome the mandate. We didn't perform well but we would like to thank the public of Madhya Pradesh for supporting us. We have decided to support Congress in MP. BJP has spread hatred&deceived public, they will be given an answer in LS elections," says Akhilesh Yadav.